I have recently been engaged by Kingborough Council in southeastern Tasmania to set up groundwater monitoring sites in Kingston Beach (pictured), and Adventure Bay on Bruny Island. Both are low-lying beachside precincts, and their real estate and buried infrastructure (sewer pipes, gas and power networks, etc) are most at risk from rising water tables caused by rising sea levels. Browns River (catchment area 60km2) discharges to the River Derwent at Kingston Beach, and Captain Cook Creek (catchment area 17km2) flows to the sea at Adventure Bay. From a surface flood perspective, the worst-case scenario at any time is high intensity rainfall + high tide + storm surge – a situation which will increase in frequency and impact as sea and groundwater levels rise. Digital water level recorders are being installed in shallow, screened boreholes at both towns. Water table fluctuations caused by tides, rainfall, groundwater extraction and rising sea level will be captured. The data, downloaded quarterly or twice-yearly, will be used to calibrate a numeric groundwater model for Kingston Beach (at least) and will contribute to storm modelling being compiled by Council. The monitoring bores are intentionally located at proposed Tasmarc transects. I’ve volunteered to do TASMARC beach surveys. And I’ve been accepted(!). It makes good sense to closely watch what is happening to our coasts – especially the so-called “vulnerable” or “soft” sandy shores which change shape hourly, daily, weekly, monthly, yearly…..with weather and tides, and at longer time frames with changing climate. The surveys are done by volunteers – mostly from land and coast care groups – and there is a lot of support from southern local councils, the Antarctic Climate & Ecosystems Cooperative Research Centre, the University of Tasmania, the Department of Primary Industries Parks Water and Environment, Natural Resource Management and Cradle Coast Authority. Surveys are done at times which suit volunteers – usually a few times a year. Results are emailed to TASMARC, where Nick Bowden maintains the database. 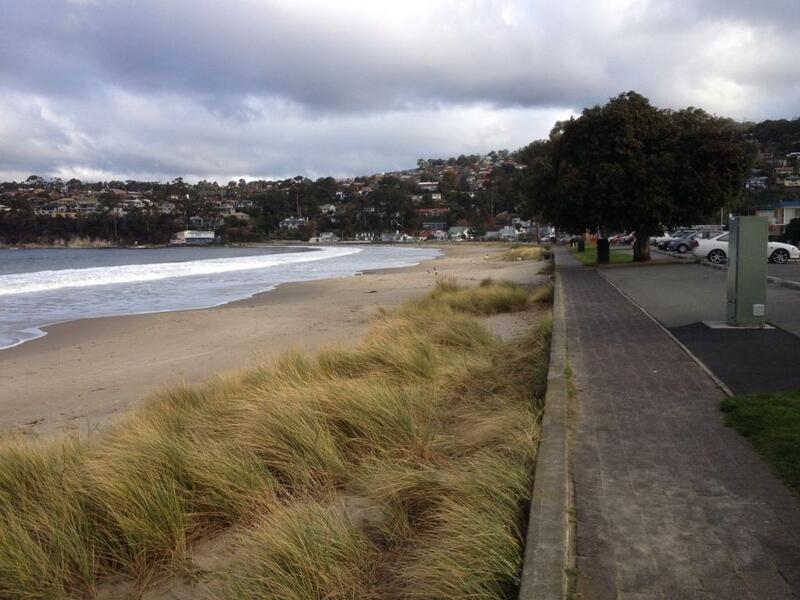 So the profiles of many of our beaches are being archived. The information is freely available to everyone. Look out for me on Nutgrove Beach in Hobart. I’m also volunteering to survey Nebraska Beach at Dennes Point on Bruny Island, where we happen to have a rental holiday shack. Geologist, thylacine author, tennis player [more about me]. Copyright ©2019 Bill Cromer. All Rights Reserved.